Discussion in 'Cabinets & Speakers' started by fat_lenny, Sep 16, 2018. My hunt for a smaller cab than my 1960a is finally over. 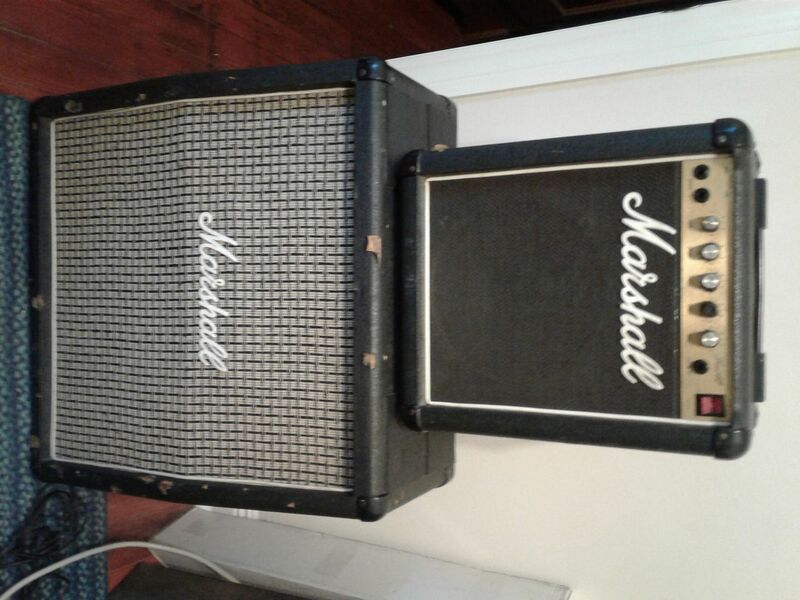 I'd been on the hunt for a 2x12, but today picked up this 1965a 4x10. Havent had the chance to play it myself yet, will first thing in the morning. Its got G10L-35 speakers in it. Red telex is in pretty good condition given the cabs age, but I do need to track down some new plastic corners and a new foot for it. Pretty stocked though and all for $400 Australian (about $280 US). Tomorrow we see how she sounds. Will predominately be used with either my Plexi Clone or a Vox AC30-HW. The vox will hang over the side a fair bit, but I'm not worried about that. tomsvintage, Mitchell Pearrow, GIBSON67 and 2 others like this. Very nice! I've always wanted to try one of those. 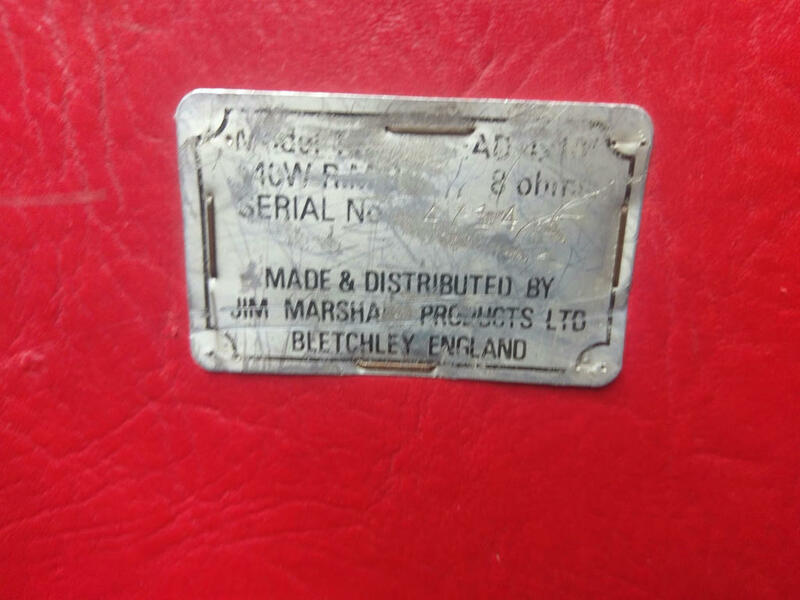 I've got a Sour Mash 2061CX clone on the way which, if I'm not mistaken, has cab dimensions close to what you've got there. Id been looking at the 2061cx cab before I grabbed this. The $600 price difference swayed me. From what I can tell the 2061 and 1965 are the same dimensions. Now I have one and know how small they are, I would happily grab another (or a 2061cx). So much easier to get in and out of the back of the truck to transport. I just plugged it in. 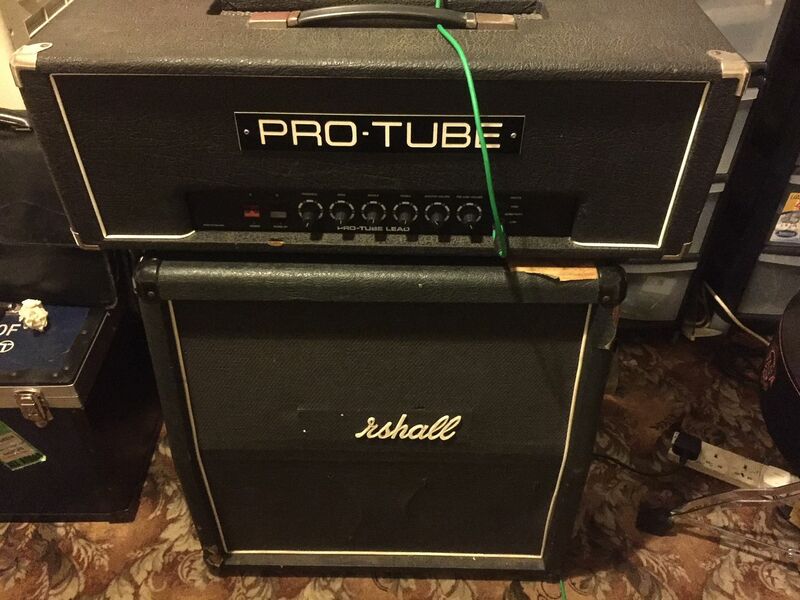 Its late at night here so the amp was heavily attenuated but the cab sounds sweet. 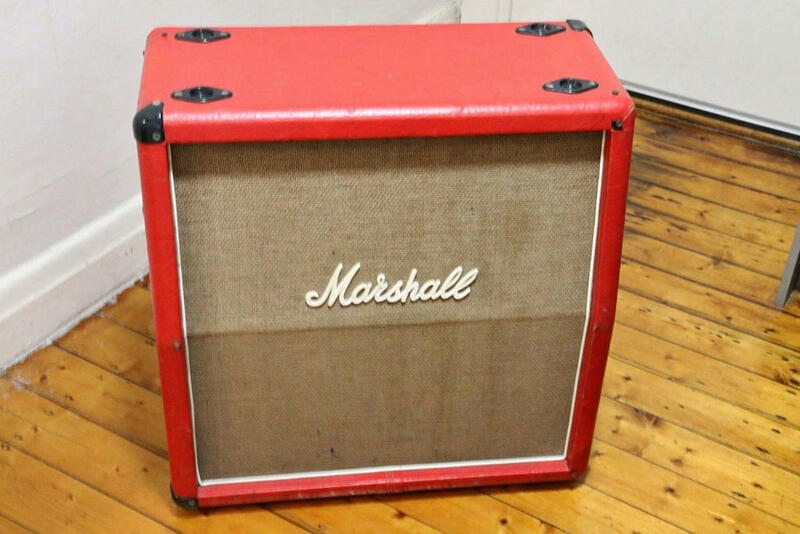 Not sure why marshall doesn't still offer these, I'm guessing because the size doesn't fit any current heads. I agree with everything you wrote here. It would be cool if they had a slightly expanded cab offering these days. I really dig the red covering on yours. Obscure unrelated thought of the day- I recently saw on the news here in the U.S. some video footage of a spider outside the window of someone's home in Australia. It was the size of a pickup truck. I have been waking up in cold sweats in the middle of the night ever since. There's a running joke around these parts that everything in Australia wants to kill you. It might be true. hahahaha. Spiders don't bother me to much, they take care of the insects. Snakes on the other hand, don't trust those shady creatures. 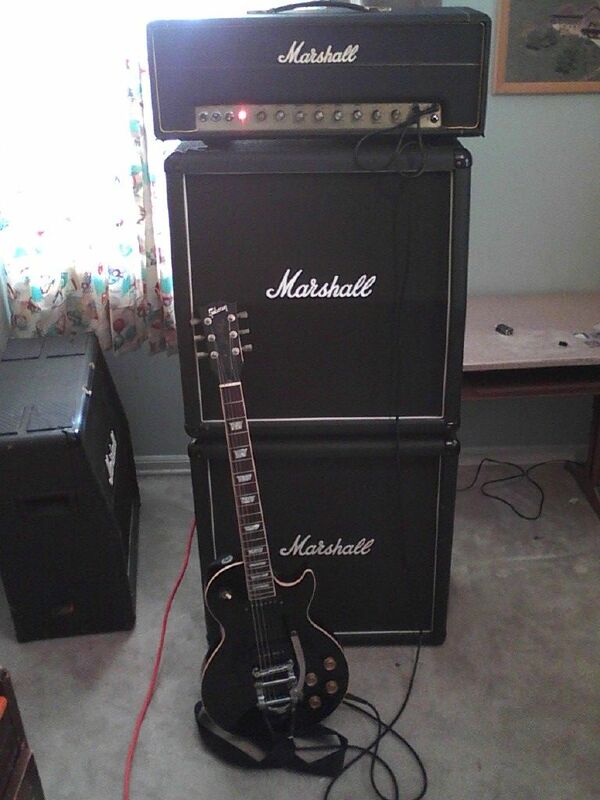 Ive tried G 10L 35's in a lotta stuff, but they never sound as good as they sound in a 1965, what a perfect marriage ! Mitchell Pearrow and fat_lenny like this. I’m in love with this cab and now want a second. Ive only ever seen one other for sale before but didn’t know what I was looking at. Both the Plexi and Vox go really well with it. The plexi has never sounded better. Speakers date to October 1985, I guess that puts the cab at late 85,early 86. After I paid I was told it was being sold on behalf of a well known Australian guitarist of the 80’s/90’s. Cool for a story, I can’t verify it though. Are they aprox, the same size as the mg cabs? Or are they smaller, curious! I am at work and have no idea on their sizes. You made the right choice, great score! I haven't been on here in a while, but saw this topic and thought I would chime in. The 1965 and 1966 cabinets are great little cabinets. 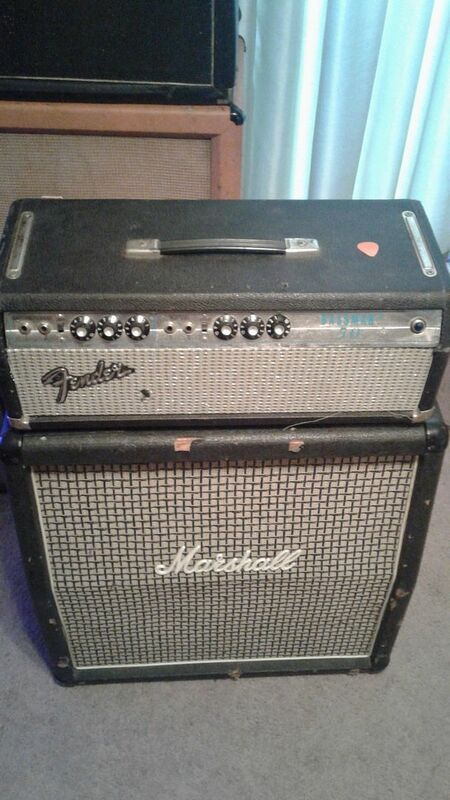 I got the 1966 2x12. I am able to fit it in the small back seat of my Toyota pickup no problem, and that is the truck without the rear door. Not to mention benig able to carry it up and down stairs easily. I have a 2204 and had Sourmash make a small box for the head so that fits on top. The chassis on the 50W JMPs are small enough that they fit in a small box. Just throwing out the option for those that love these cabinets. P.S. These cabinets are 24 x 24 x 12, if anyone needs the dimensions. Kim Lucky Day, Mitchell Pearrow, fat_lenny and 1 other person like this. I'll get a better photo for reference, but in my original photos you can see a 1960a cab next to it for reference. 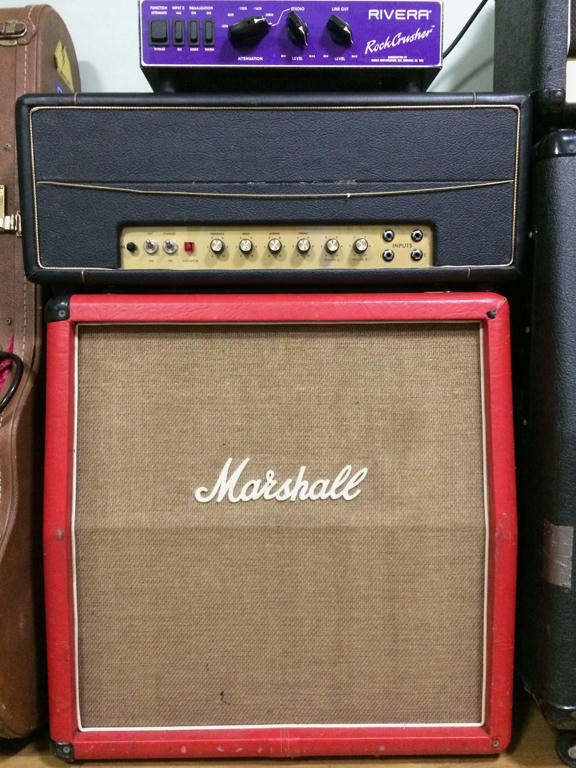 The 1965 cab with a head on it stands only a little taller than the 1960a can (on casters). I knew what the dimensions were before I purchased, but in reality it is tiny, much smaller than I was expecting. Moving it around is easy and I have sacrificed nothing in tone (I actually prefer it to the 1960 cab). My avatar photo is a 40c on top of an mg cab the mg is about 2”wider than the 40c and from all I have read is they were built for the lead 100 mosfet, which is 24” in width, I am at home so I can check all these different dimensions!! I know I have said this before, but I like the size of the mg’s . 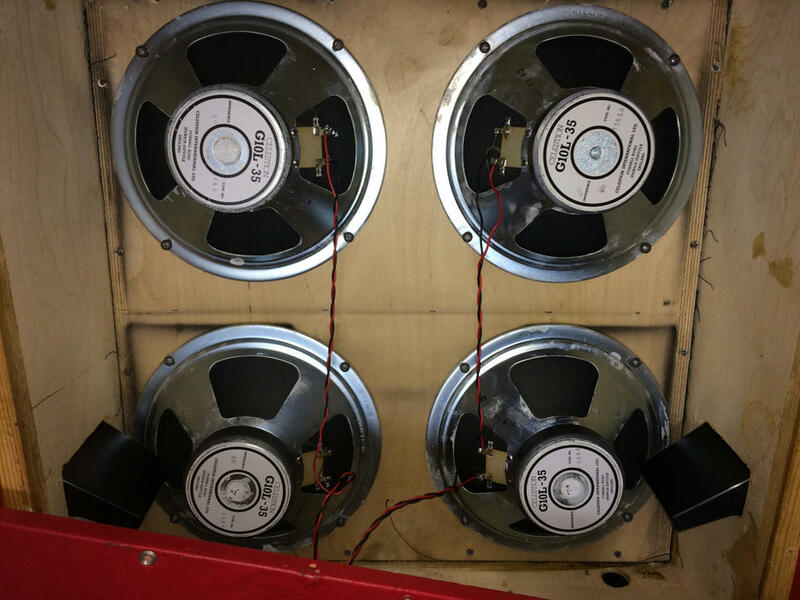 I have had 2 full stacks of the larger cabs, but sold them all, and at a 100$ a pop, I am going to just put better speakers in them, as funds permit ! Took a while to find a tape measure with inches on it, but the cab measures 24" high, 24" wide and 12" deep.